Wild horse overpopulation in the West has left the animals to compete with livestock and wildlife for food and water. Ranchers and animal-protection advocates agree that changes are needed to manage wild herds. Republican Congressman Chris Stewart brought together ranchers, animal-protection advocates and others on Wednesday to brainstorm solutions for protecting wild horses. Evocative symbols of the American West, wild horses have also become a thorny national political issue that's often left ranchers and animal-protection advocates at odds. Congress budgeted more than $80 million for the wild horse program last year, but the U.S. Bureau of Land Management overspent that by more than $2 million. 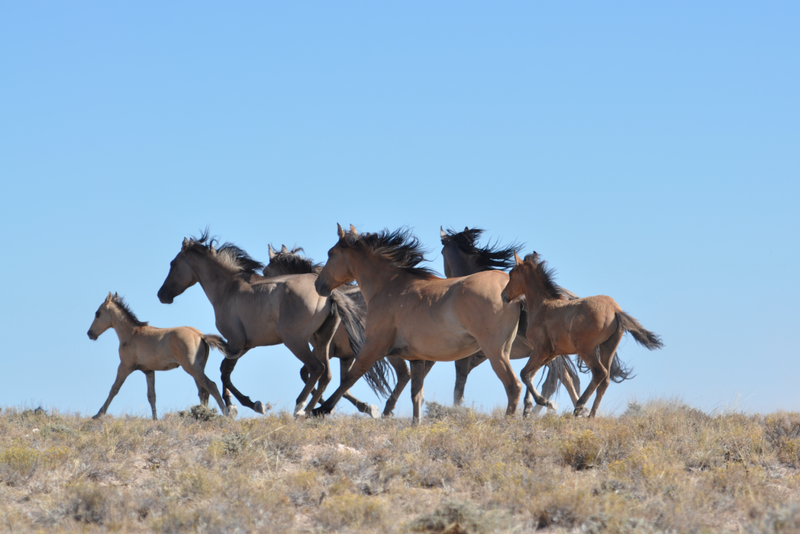 Stewart has introduced an amendment to a recently passed House spending bill that gives the BLM more authority and a $15 million funding increase for managing horse populations. The U.S. Senate also included provisions in its version of the Interior Department spending bill that address wild horses. But the opposing sides agree money alone is not the answer. "Everyone agrees the problem is untenable the way it is," said Stewart after the closed-door meeting ended Wednesday. "There's wide agreement — I would say 90 percent agreement — on what it's going to take to fix it. That includes capturing and removing from public land about 90,000 horses so they won't compete with livestock and wildlife for food and water. Stewart said the solution also means settling on an effective sterilization program that would allow the BLM to remove the ovaries of wild mares. Sterilization would prevent herds remaining on the range from growing fast. The target is to hold herd numbers steady at roughly 27,000 horses. 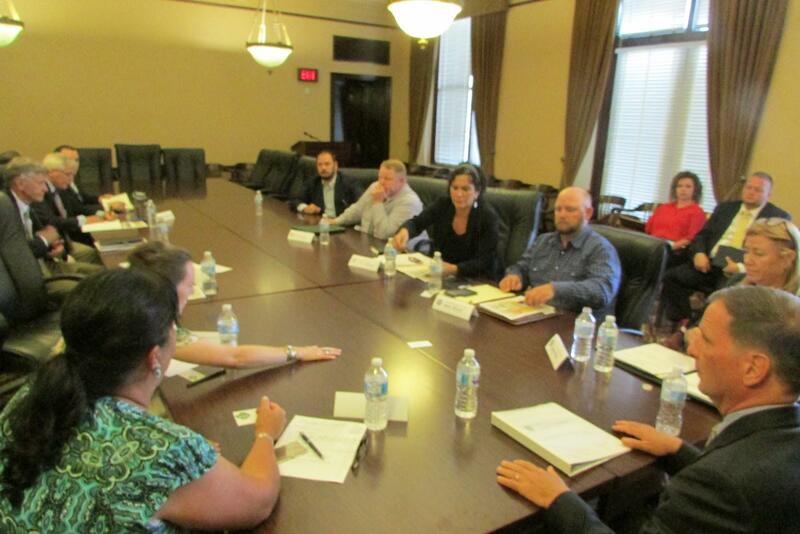 U.S. Rep. Chris Stewart, R-Utah, brought together groups that are typically at odds for a discussion of solutions for the nation’s wild horse program. Among the groups that attended were the Beaver County Commission, Utah Cattlemen's Association, the Human Society and the American Mustang Foundation. They asked Stewart to continue the talks. Nancy Perry, a lobbyist for the American Society for the Prevention of Cruelty to Animals, said the national program for wild horses is at a crossroads. "That's causing everyone to come together, put aside our differences and ask, 'What can we do together on this issue?'" Perry, who also attended the roundtable, said. Beaver County Commissioner Tammy Pearson, who is also a rancher, conceded that solving the wild horse problem will take collaboration and time. "We've had years and years that we've been saying, and begging and pleading to get this done," said Pearson. "And the problems have been that BLM has been restricted in what they can do." Stewart, who calls himself a horse lover, said no one wants to see the horses, the land and rural Utah communities suffering. In a previous version of his amendment, Stewart gave the BLM authority to euthanize healthy horses in government corrals. But that's no longer part of his proposal. 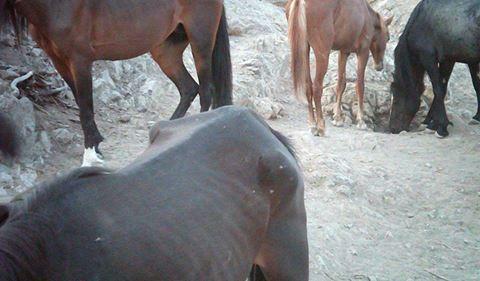 "This coalition will stay together because we truly love these animals," said Stewart, adding that some wild horses in southern Utah are starving to death. "Most people think that's not a great outcome for them." Animal rights advocates are asking the federal government to protect certain wild horses as an endangered species. It’s not their first attempt, but this time it’s a specific herd. 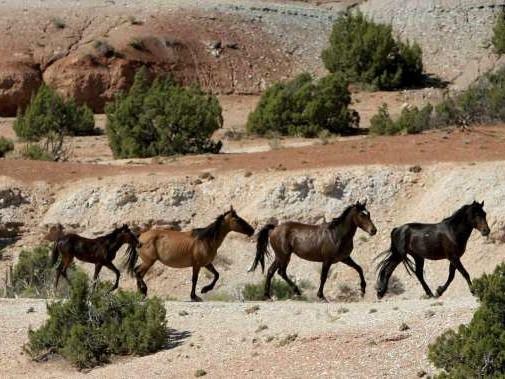 A summit in Salt Lake City this week focuses on the West’s wild horses and burros.